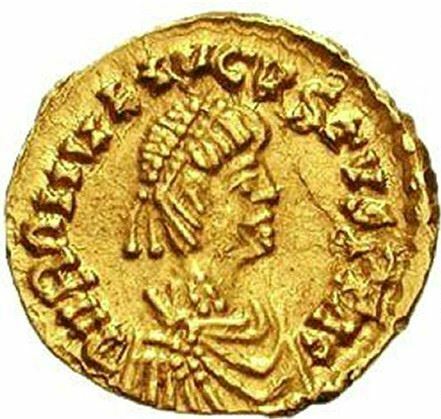 Romulus Augustus was a Roman emperor and alleged usurper who ruled the Western Roman Empire from 31 October AD 475 until 4 September AD 476. Romulus, little more than a child, acted as a figurehead for his father's rule and reigned for only ten months, before he was deposed and the Imperial office abolished. His deposition by Odoacer traditionally marks the end of the Roman Empire in the West, the fall of ancient Rome, and the beginning of the Middle Ages in Western Europe. The ultimate fate of Romulus is a mystery. Odoacer, "taking pity on his youth", apparently spared Romulus' life and sent him to live with relatives in Campania.